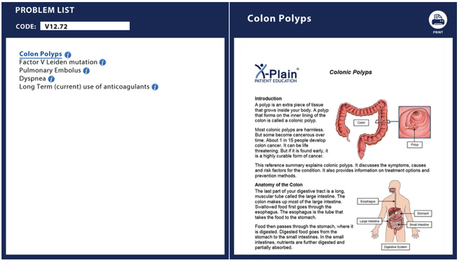 X-Plain's full library of textual materials and discharge instructions are integrated into the EMR system to provide patient-specific information during an inpatient, outpatient or emergency room visit. X-Plain automatically suggests health topics based on diagnostic coding, keywords, gender, age group and other metadata. The healthcare provider can then print, email or ‘push’ the heath topic to the patient portal. Contact us for more information on our EMR integration options.